When strange cobweb-like material falls from the sky shortly after two strange objects were seen flying overhead, the witnesses are dumbfounded as to an explanation. Police office Lonnie Zamora interrupted his persuit on a speeding vehicle when he saw an egg-shaped object landing near the highway. Robert Taylor, a Schotish forest worker, got the fright of his live when he parked his truck next to the M8 for a walk with his dog. With over ten-thousand witnesses, it is hard to dismiss the phenomena in Tuscany as a simple case of mistaken identity or hysteria. With claims of visits from ‘Men in Black’, mysterious accidents and threats to silence, the Maury Island incident is considered by some to be the beginning of the UFO fascination that swept the world. 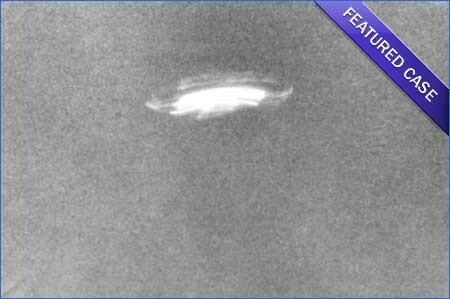 This classic UFO case was investigated by Aime Michel and Jacques Vallee. This case is typical for it's high strangeness.